I hung my head, ashamed. I was not alone. 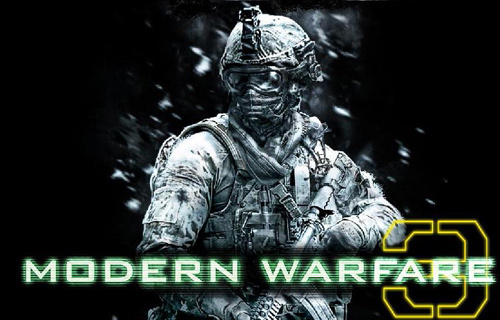 Every parent at the Upper West Side Game Stop store was embarrassed to be there, ashamed to be buying the new Call of Duty: Modern Warfare 3. I assume that’s what we, these pairs of parents and sons, were buying. The updated game was just released last week. How do I know this? I have no idea. It has simply seeped into our family culture.The posters with the dystopian world in the background and the gun-slinging hero in the foreground. We, parents, have to be there to buy the game because it’s rated M for Mature. My 14-year old could not buy it without me, and he cuddled me as if he were a toddler, while we wanted in line for the purchase. The cashier handed the mother in a business suit ahead of me the DVD X-Box game in the plastic bag. “This is not mine,” she took the bag, like it was a dead mouse. “It’s all yours,” she passed the bag to her son. He could barely suppress a smile. These teens and preteens get their way and they know it. Why do I do this? I wondered. I am basically a pacifist. Maybe I let him have this game, because I want him to be happy, popular and a part of pop culture (UGH! I did just write that!). My son runs track, gets good grades, has the money ($65) to pay me back. Yet I am enabling an addictive activity. And I know it. Yesterday he had three friends over and they had a great day. They played all day. They stopped to eat at Shake Shack; played a brief game of Apples to Apples; and watched Saturday Night Live; but otherwise, they were glued to the game. The boys believe war gaming is useful because, my son tells me, “It develops hand-eye coordination and teaches about guns and modern-day battles.” Hmmmm. Doubtful. My son’s friend’s dad, Daniel, told me he believes the boys talk about important things besides slaughtering one another while playing MW3. He said he’s overheard them talking about school, girls, and the Yankees. I don’t know. I only hear, “I need another kill” kind of thing. If I didn’t have a 14-year old son, I would think parents, like me, who buy this kind of game for their sons are irresponsible. Wait, I still think that. I want to write more on this, but I have to pry the boys off the XBox game (yes, one of the boys spent the night so they could play more) and get them ready for church. It’s a beautiful day in New York City and I don’t want them to miss it. There is a time for everything, a time for peace and a time for modern day warfare?